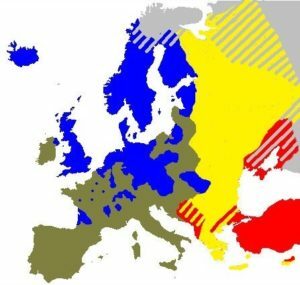 Acts Under Elizabethan Settlement Of Religion: The attempt made by Queen Elizabeth I to unite all the contending religious forces of the 16th century under one church in England was the Elizabethan settlement of religion. However, the Elizabethan Settlement of 1559 encountered many problems. This is because it was not possible to make each and everyone happy as attempted by Queen Elizabeth. After the death of King Edward VI, Mary Tudor took over the throne as Queen. Mary Tudor (1553 – 1558) was the daughter of Henry VIII and the first wife of Edward VI. She was a staunch supporter of the Catholic Church and opposed the Protestant reforms in England. When she came into power, she restored England to Roman Catholicism. In her process to do so, she got 300 religious dissenters to be burned at the stake in the Marian Persecutions. This earned her a nickname ‘Bloody Mary‘. After her death at the age of 42 years, she was succeeded by her half-sister Elizabeth. 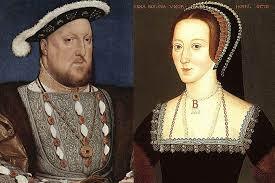 She was the daughter of Henry VII from his second wife Anne Boleyn. Elizabeth the first was a Protestant from the very beginning. After coming to power, she thought of finding a middle way to unite the religious divides created over the reigns of Henry VIII, Edward VI and Mary I. 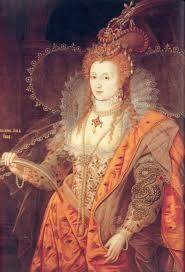 She came up with the Elizabethan Religious settlement also described as ‘The Revolution of 1559’. The Elizabethan settlement was divided into two Acts of the Parliament of England. 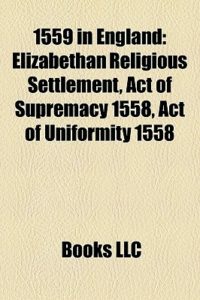 These two Acts under the Elizabethan Religious settlement included Act of Supremacy of 1559 and the Act of Uniformity of 1559. What were the Acts under the Elizabethan Settlement of Religion? She came out with a new edition of the Book of Common Prayer that was in line with tradition, however, it was as vague as possible. This meant one could come up with different interpretations of the book.